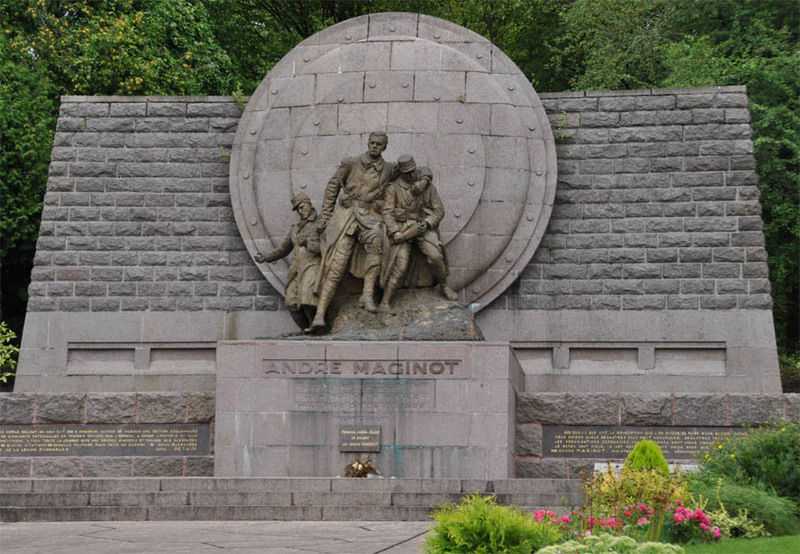 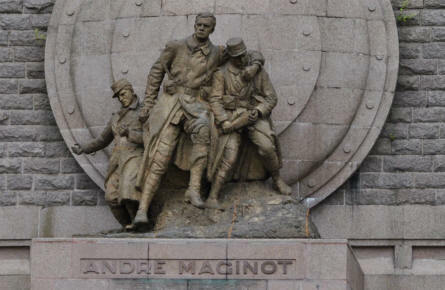 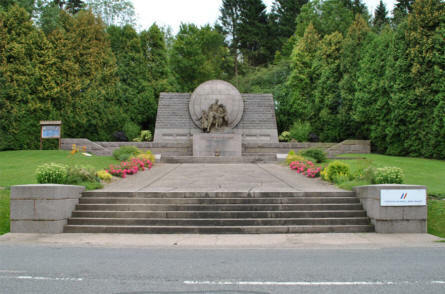 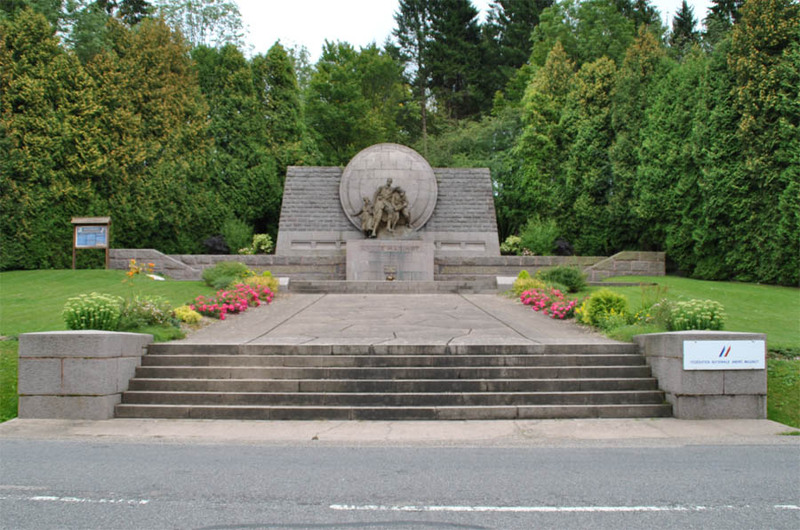 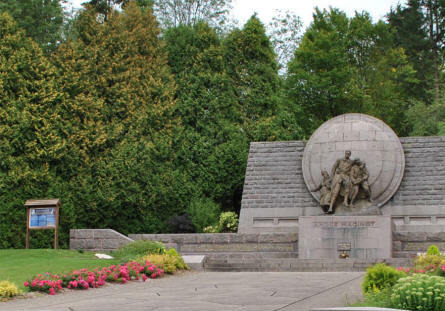 The André Maginot Monument Is located near the destroyed village of Fleury-devant-Douaumont - just north east of Verdun. 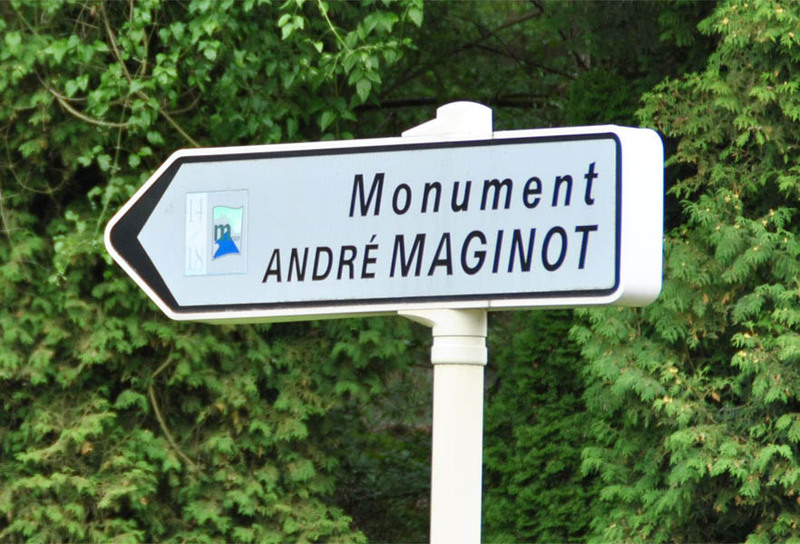 André Maginot is mainly known as one of the key persons behind the construction of the French line of fortifications known as "Maginot Line". 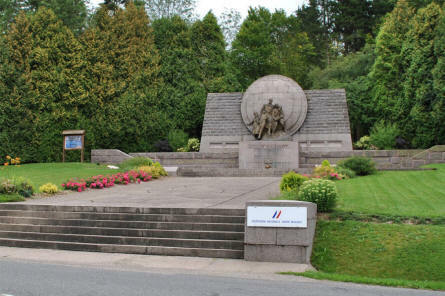 The "Maginot Line" was created after the First World War, and was a very complex network of fortresses that should protect the French boarders from a new German invasion. But in 1940 the German forces simply just by-passed the "Maginot Line" and attacked France via Belgium. The André Maginot Monument at Fleury-devant-Douaumont - just north east of Verdun. The central part of the André Maginot Monument at Fleury-devant-Douaumont - just north east of Verdun. 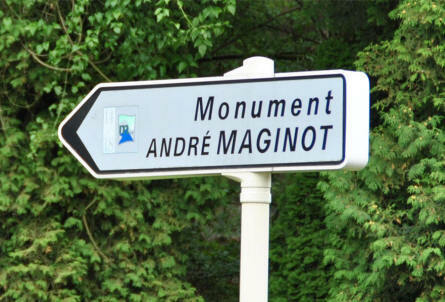 A road sign showing the way to the André Maginot Monument at Fleury-devant-Douaumont - just north east of Verdun.